Olive wood, with its interesting grain patterns, is hard, dense and resists odors and stains better than other types of wood. 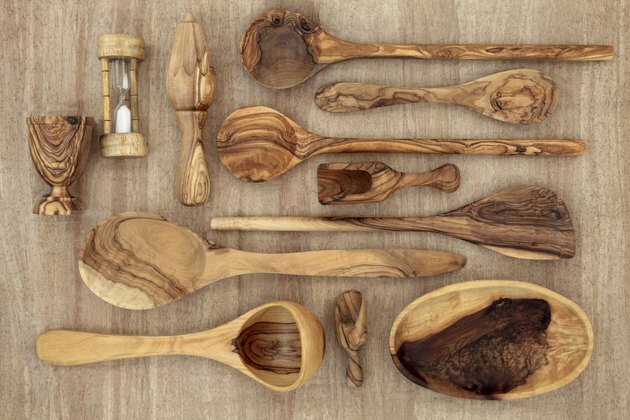 In addition, olive wood is very durable, which makes it a good choice for cooking utensils and flooring. Even so, proper care and maintenance is required to keep your olive wood products in good condition for a prolonged life. 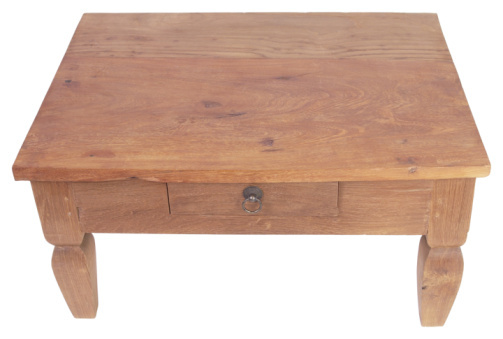 With proper care, olive wood products can last a long time. Season new utensils with food-grade mineral oil. Avoid using vegetable or olive oil because these products can go rancid. Mineral oil is a safe product that is easily absorbed and doesn't leave the utensil feeling greasy. Place a small amount of the oil on a soft cloth, rub the oil over the entire utensil and allow it to soak into the wood. After the wood has dried, apply a second coat of oil. Avoid using the utensils before they are fully dried. Clean your utensils in warm water using a mild liquid dish detergent. Use a nylon scrubbing pad to remove all bits of food. Avoid soaking the utensils in the water because this could raise the grain and cause the wood to swell, which could lead to cracking or splitting over time. Rinse the utensils with warm water and instead of air drying, use a drying towel to wipe them dry. Rub your utensils periodically with mineral oil -- when the utensils appear dull and the last oil treatment has worn off. This helps to prevent liquid from soaking into the wood and keeps it in good condition. After applying the oil, let the utensils sit for a few hours and then wipe off the excess. How often you treat the utensils with oil depends on how often they get used. Sanitize your utensils every few months. Clean the utensils in warm, soapy water and then spread them out on a flat surface. Pour 3 percent hydrogen peroxide over all sides of the utensils and let them sit for 15 to 20 minutes. Rinse the utensils in warm water and then wipe them dry with a towel. Vacuum or dust-mop your floors often to keep them free of dirt and debris. If you vacuum, avoid beater bars and use vacuums with soft brush heads. Avoid letting spills sit on the flooring too long -- wipe them up immediately with a damp cloth. Olive wood flooring should not be wet-mopped, and avoid using harsh cleaning products such as ammonia, abrasive cleansers or bleach. Only use products recommended by the dealer. Put mats near entry doors to cut down on the amount dirt tracked in from the outside. Place small rugs in high foot-traffic areas exposed to moisture and spills, such as in front of your stove or sink or beneath a pet's water bowl. Avoid using mats or rugs with a rubber backing because these tend to trap moisture. Attach furniture pads to the legs of all heavy furniture or appliances to keep them from denting the wood. If you need to move appliances or heavy furniture across the floor, cover it with thin plywood. Avoid walking across the floor with high heels or sports shoes with cleats or spikes. Trim your pet's nails often to prevent scratches.